As always, last night was beautiful. Families and friends filled the Parkway. The normally dark Bogota evening blazed with the light of a thousand candles. Across the city, and in small towns around the country, we all paused for a moment. Year after year, it’s our sacred duty to light Mary’s way to the stable where she will give birth. Touching flame to wax is an act of hope in transformation and in continuity. We are showing the way for the world be born once again. As we sat together in circles of light, we also lit candles for those we love and situations we want to remember. My mind drifted back over the news of the week: Honduras, Colombia, Israel/Palestine. As we celebrate divine journeys, I focus on a little reported news story. A group of Central America mothers are currently travelling across Mexico, searching for their disappeared children. Every year since 2004, these women have engaged in a desperate pilgrimage, following the footsteps of their missing loved ones. Their children disappeared somewhere along the different migrant routes from Central America, through Mexico, and possibly into the United States. Border militarization through Plan Frontera Sur has pushed migrants to seek increasingly dangerous routes to avoid detention and deportation by authorities. Many migrants are never heard from again once they leave home. The women, carrying photos of their children on placards around their necks, travel across Mexico, stopping in migrant shelters and prisons, and advocating towards local authorities. They follow up on reports of mass graves and seek answers for their missing. Together, they also light candles for their own journey, and the journey of their children. In thirteen years, they have found over 270 missing migrants. As they march along train tracks, they demand justice. Whether or not they find their loved ones (dead or alive), their journey is heartrendingly brave. I am a firm believer in ritual, not because it changes the world, but because it changes my ability to shape the world. The simple act of lighting a candle on December 7th express a willingness to actively participate in bringing about of the Christmas story every year. The Mothers of Central America move ritual into a new reality: each step is not simply commemoration, but an actual search. Yet each step taken towards justice brings more determination. The Caravan’s motto is Trece Años de Lucha y Esperanza (Thirteen Years of Struggle and Hope). Action brings hope; hope brings action. Action, behavior, especially compassionate behavior, is more important than thinking. By constantly exercising compassion, the golden rule, you enter a different state of consciousness. This rather than thinking will get you to enlightenment. This doesn’t mean that we don’t thoughtfully engage with world. Rather, compassion and empathy must form the ways we carefully interact with reality and one another. What if, instead of journeying to Bethlehem to give birth, Mary is instead travelling the world, looking for her son? Where would she find him? 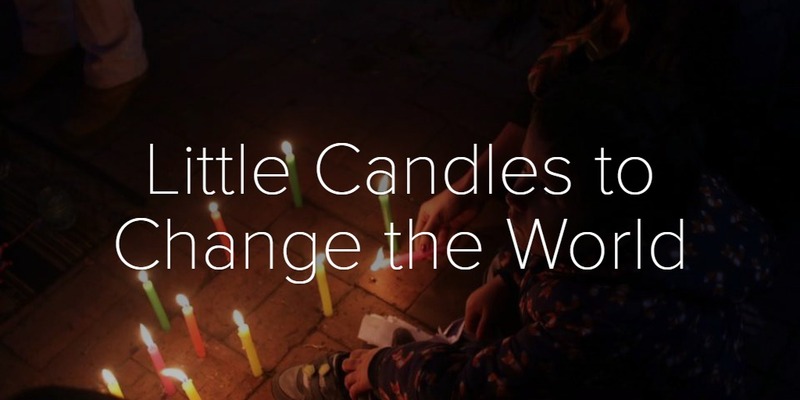 What would it mean to engage in rituals and actions that light the way for all of those, for all of us, seeking justice and looking for peace this year?